Did you know that you can take B-12 topically though a lotion on your skin? 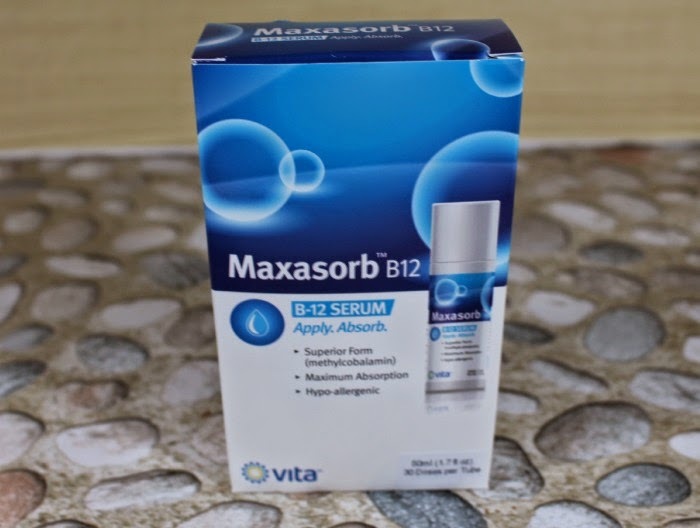 I never knew this until I got to review Maxasorb B12. It is scientifically formulated to topically deliver Vitamin B12. Each full application of the lotion provides 320 micrograms of Vitamin B12 (methylcobalamin) , 120 micrograms of Vitamin B3 (niacin) and 10 micrograms of Folate. B12 is known to maintain your overall energy levels and helps support a healthy lifestyle. Some medical experts have suggested that adults over 50 years of age supplement their diets with 100 to 400 micrograms per day of Vitamin B12. The lotion is odorless and is easily absorbed on your arms or legs. You just use it daily and it gives you the perfect way to get all of your daily Vitamin B12 in. It is made up of natural ingredients so it is gentle on your skin. The Maxasorb B12 pump dispenser is super easy to use. All you have to do is press down all the way for a single dose of the B12 lotion. The lotion is so gentle on the skin that it also helps sooth dry, itchy or irritated skin patches that can come from eczema, psoriasis or a skin rash. I have eczema that gets worse over the summer so I was glad to try it since my regular medicated creams have stopped working. I tried it on my irritated patches and it immediately soothed the itchiness and inflammation. The lotion really absorbed well on those areas and I felt that the vitamins really helped heal my skin. 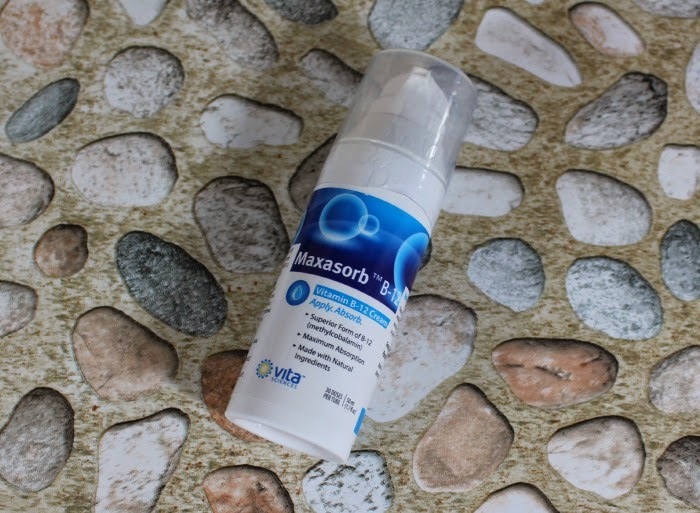 Each 1.7 ounces bottle of the MaxasorbB12 has thirty applications of lotion in a protected easy to use bottle that dispenses the correct amount each time. The MaxasorbB12 is also infused with antioxidants. Head on over to amazon and try out the MaxasorbB12 for yourself.